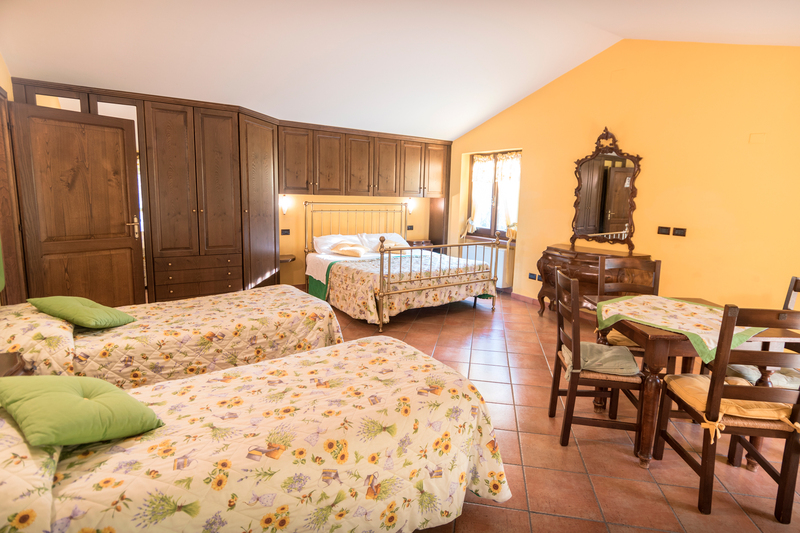 The “Agriturismo il Giardino dei Ciliegi” consists of eight simple rooms. 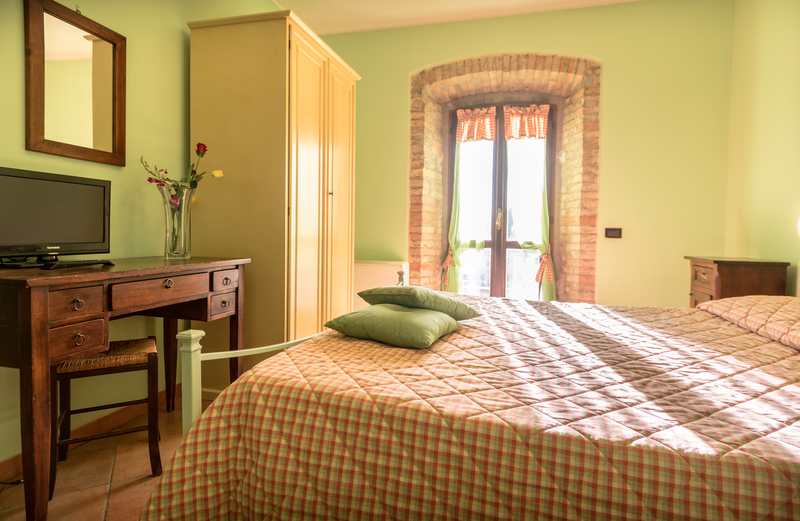 Identical for comfort and services, in rustic style, perfectly in tune with the structure of the late ‘800, the apartments are differentiated by beds, size and colors. 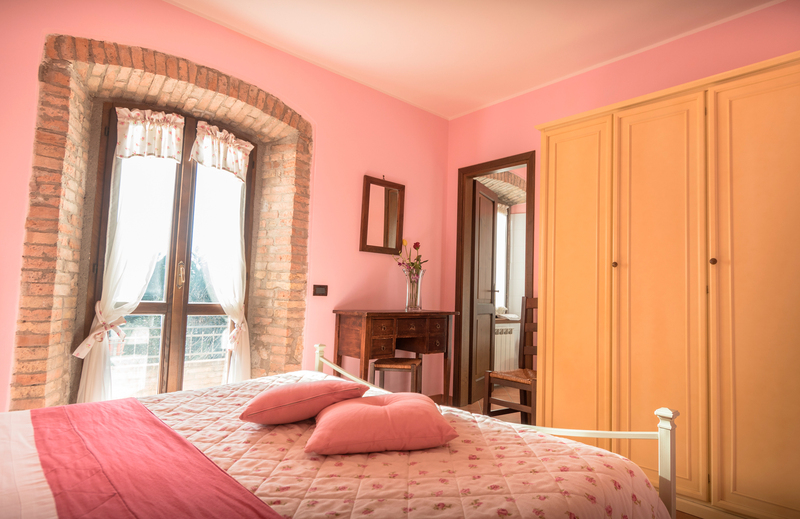 Each room has been given a name of a flower, which is inspired by shades of color and design. 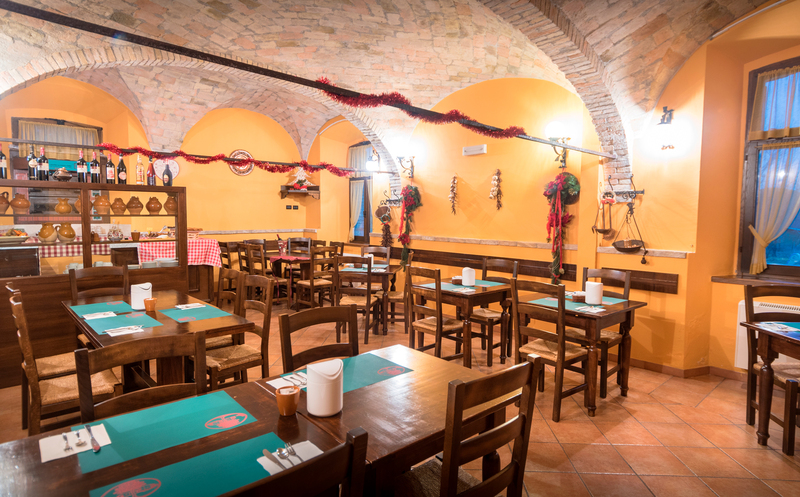 Typical Umbrian cuisine and genuineness, are the main characteristics of our restaurant. 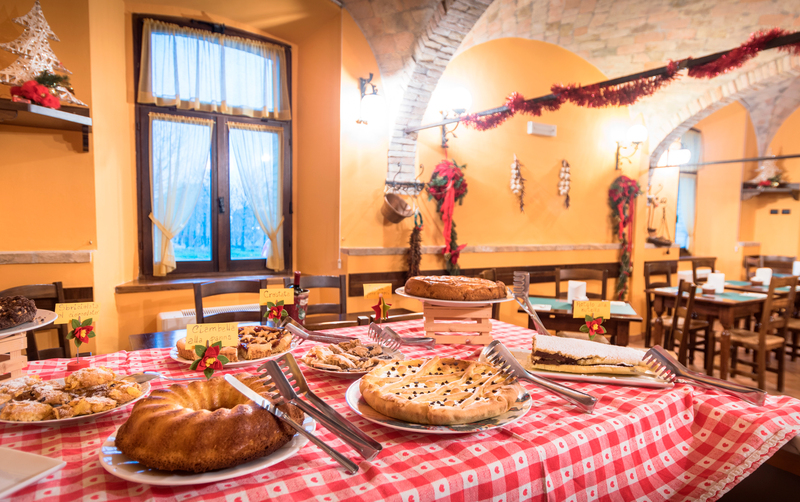 Chopping boards with cold cuts from local farmers, cheeses, cured meats, croutons with truffles, legumes, wine from the most famous wineries in Umbria. 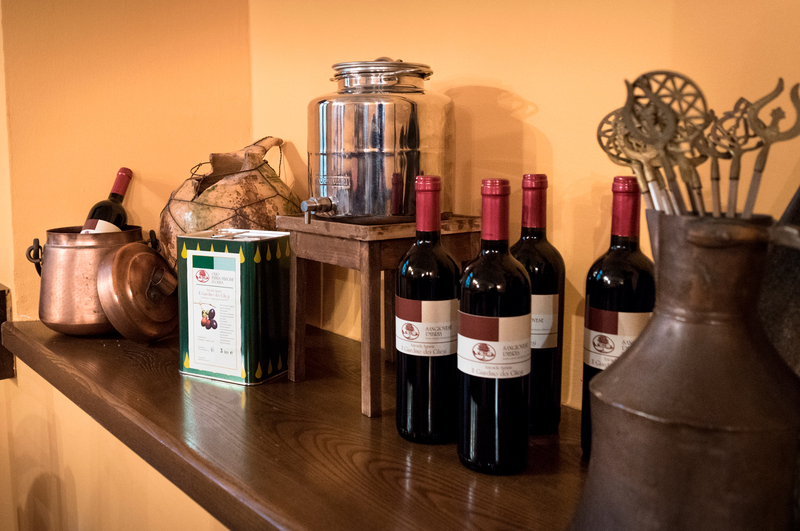 Without neglecting our extra virgin olive oil that reigns supreme on every dish. Few products to guarantee freshness and quality. 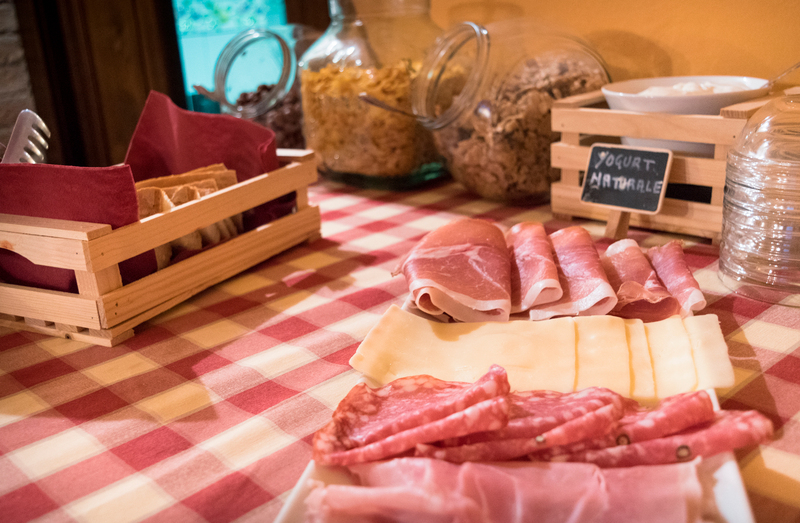 On warm summer days, the Agriturismo il Giardino dei Ciliegi offers its guests a large swimming pool of 14 meters x 6 meters deep 1.40 meters, where you can spend relaxing moments, make a simple aperitif with our chopping boards with typical products, listen to music or read a good book. All surrounded by trees that provide a refreshing shade even in the hottest periods. The swimming pool is open from May to September. 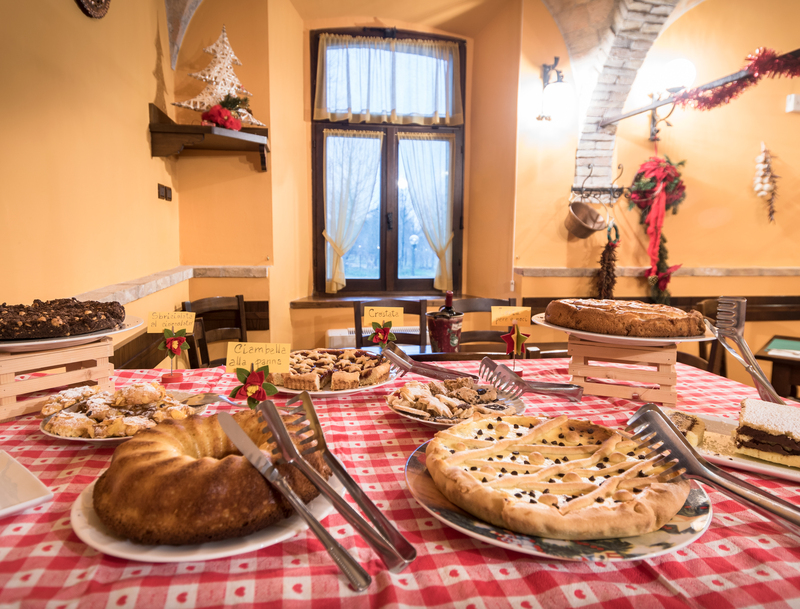 Located in a quiet area, Agriturismo Il Giardino dei Ciliegi is 6 km from the historic center of Assisi. 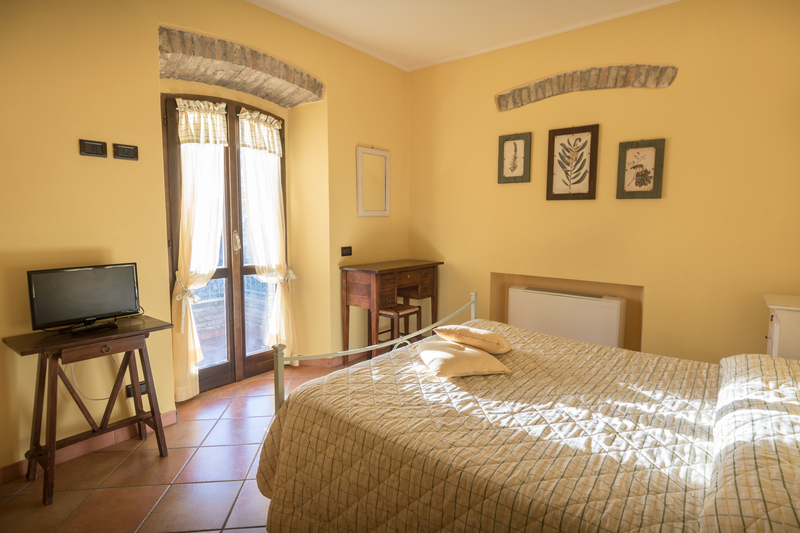 The property is 6.5 km from Santa Maria degli Angeli Train Station and a 20-minute drive from Perugia car indicators. 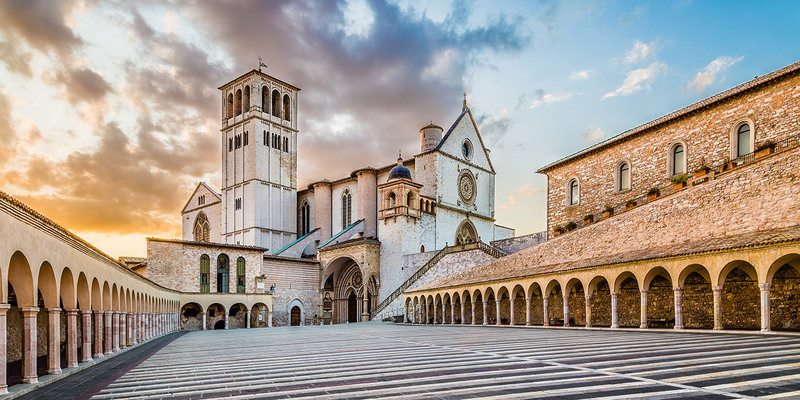 The structure is also located in an optimal position between visits near Assisi! 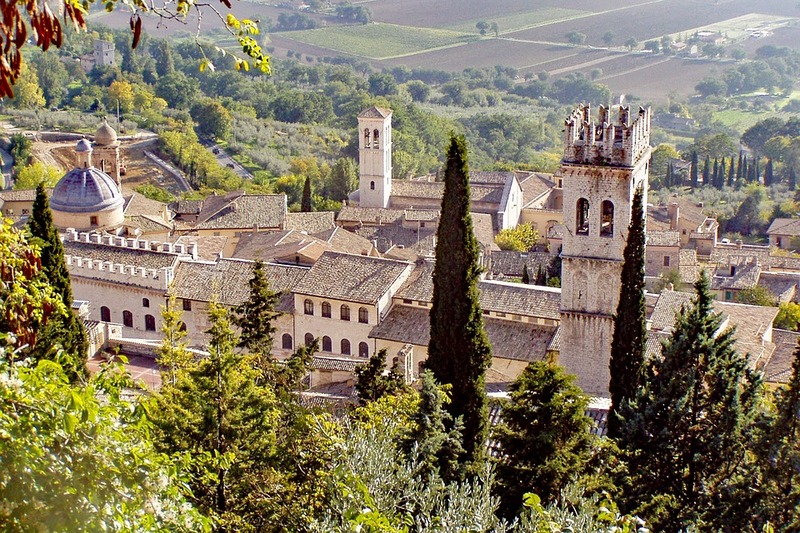 The Giardino dei Ciliegi is also excellent for discovering and visiting the characteristic Umbrian villages. Registrati sulla nostra newsletter e ricevi tutte le promoizioni della nostra struttura.